Peter founded the Bluebird Cafe in 1971 (hamburgers were 80 cents, beer was a quarter), seeing it as a solution to the problem of staying in the music business while not being able to do as much traveling as previously. 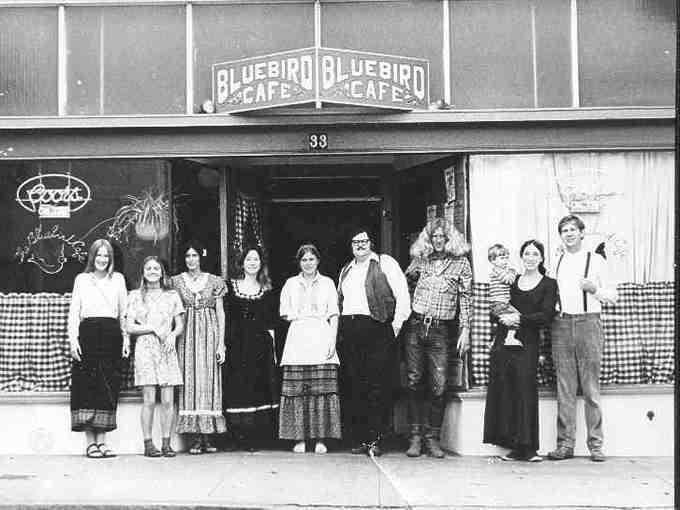 The Bluebird was a cafe; it served great, home-style food and a variety of beverages. But that, in a way, was its "cover", for the Bluebird's real mission was to form a center and school for acoustic music of all types on the central coast. This was a cafe built around and for the requirements of musicians, with a great built-in sound system, stage and a ready welcome for the wandering minstrel. Peter's thought was "..make the musicians happy; they'll play great music, and the audience will come..." There was music of some sort almost every night, from open mics to singer-songwriters, jazz, blues, and bluegrass bands, old time music, Indian classical music, and even a little light opera, drama, and experimental sounds. Musicians not only performed there, they comprised a large part of the staff. It was a place to exchange musical ideas and try out new acts. performers included Hazel Dickens, The Scragg Family, Lamar Grier, Mance Lipscomeb, John DuBois, Aunt Dinah's Quilting Party, Pat Cloud, Amya Das Gupta, Flash In The Pan, Alice Gerrard, Jon Lazelle, Jess and Leonard Sutton, Jerry Higby, Furry Lewis, Johnny Shines, Earl Collins, L.C. "Good Rockin'" Robinson, Byron Berline & The LA Fiddle Band, Mike Seeger, and many, many others. Old-Time - Earl Collins, a fine fiddler originally from Missouri, appeared at the Bluebird several times in 1973 and 74. Here is a tune titled Wolves A-Howlin', performed with Pat Cloud on banjo, Peter - mandolin, and Gerry Highby - guitar. The Floating House Band - Shep Cook, Kit Alderson, & Bobby Kimmel, at the Bluebird in 1972. Remembering Rock and Roll. 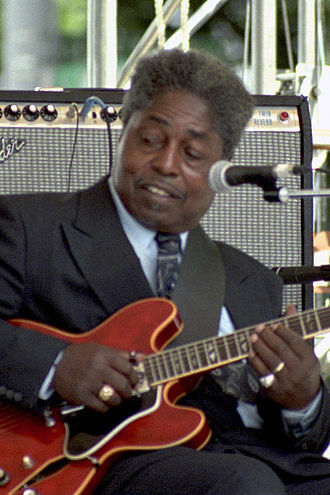 Johnny Shines - Great bluesman, here doing a number in 1973, Station Blues.